Look good and feel good in this Under Armour Blitzing 3.0 Stretch Fit Cap in Red, Red and Black. This hat has been crafted with a structured build which helps it to maintain its shape whilst being designed with a higher crown for all head shapes. The stretch construction provides a comfortable fit to help take this hat wherever you travel. This cap comes with a built-in HeatGear sweatband that wicks sweat away from the skin and helps to keep you cool and dry. 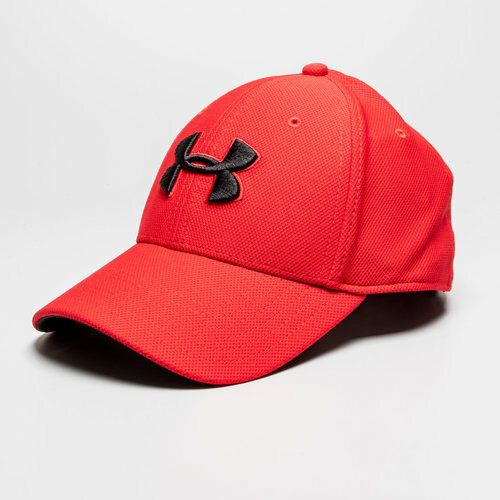 This hat is red and comes with the Under Armour logo embroidered in black on the front whilst the word Under Armour has been embroidered onto the back.